According to a spokesperson for the Palm Beach County Court Clerk's Office, basketball superstar Michael Jordan has applied for a marriage license in Florida. 50-year-old Jordan reportedly became engaged to his fiancé, 34-year-old Cuban-American model Yvette Prieto, in December 2011. Although the couple purportedly plans to marry on April 27th, their marriage license is valid for up to 60 days. The anticipated wedding in Palm Beach County would be Jordan's second. In 2006, the former basketball player's marriage to Juanita Vanoy ended after 17 years. Following their divorce, Vanoy reportedly received a settlement that totaled approximately $168 million. In early March, Jordan purportedly asked a Fulton County, Georgia court to dismiss a paternity action against him in connection with a child that was born while he was married to Vanoy. The former NBA player also allegedly stated the child was not his and filed a counterclaim seeking sanctions against the child's mother. No one enters a marriage expecting to become divorced. Jordan, however, would benefit from a entering into a prenuptial agreement prior to marrying Prieto. Such an agreement is a contract between a future bride and groom that outlines exactly how a couple's marital assets will be divided in the event of divorce. Even in situations where a future spouse is not a public figure like Jordan, entering into a prenuptial agreement is a smart move. By having a contract in place, a couple may be able to avoid some of the stress that is often associated with the divorce process. If a couple fails to enter into a prenuptial agreement, a post-marital contract may simplify the divorce process for individuals who decide to separate. In general, a postnuptial agreement outlines the division of a former couple's assets and describes any spousal support obligations. Although a post-marital agreement may include a provision regarding child custody and support, such determinations are always subject to modification by a family court. In addition, a Florida court is not required to honor a provision in any marital agreement that waives temporary attorney's fees and costs. All premarital and post-marital contracts must be written and signed. Dealing with end-of-marriage issues while planning your wedding can be difficult. 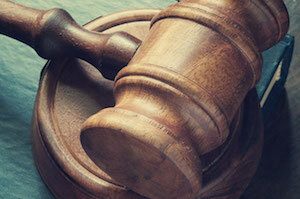 An experienced family law attorney can help. At the Law Firm of Vilar Law, P.A., our lawyers focus their practice exclusively on family law matters. Our dedicated attorneys are available to help you with all of your family law needs, including prenuptial contracts, complex divorces, child custody and support, equitable distribution, spousal support agreements, post-judgment enforcement and modification, paternity, and domestic violence. The Law Firm of Vilar Law, P.A. assists clients who are located throughout Miami. 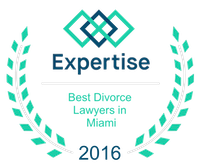 To discuss your prenuptial contract or other family law issue with a dedicated advocate, you should call attorney Patrick Vilar at (305) 373-8000 or contact them through the law firm's website.